The Legend of Zelda: A Link to the Past, known in Japan as The Legend of Zelda: The Triforce of the Gods (ゼルダの伝説 神々のトライフォース, Zeruda no Densetsu: Kamigami no Toraifōsu) in Japan, is an action-adventure video game developed and published by Nintendo for the Super Nintendo Entertainment System. It is the third installment in The Legend of Zelda series, developed solely by Shigeru Miyamoto and his team. The plot of A Link to the Past focuses on Link as he travels on a journey to save Hyrule, defeat Ganon and rescue the seven descendants of the Sages. A Link to the Past uses a 3/4 top-down perspective similar to that of the original The Legend of Zelda, dropping the side scrolling elements of Zelda II: The Adventure of Link. A Link to the Past introduced elements to the series that are still commonplace today, such as multi-level dungeons, new weapons and items as well as the Master Sword and the concept of an alternate or parallel world. 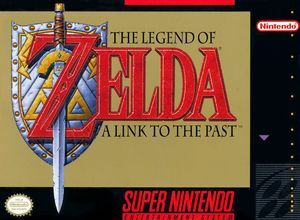 Released to critical and commercial success, A Link to the Past was a landmark title for Nintendo and is widely considered today to be one of the greatest video games of all time. A Link to the Past has sold over 4 million units world wide and has been ported to both the Game Boy Advance (with slight changes) and the Wii's Virtual Console. Both ports were very popular and contributed to the overall success of the game. The graph below charts the compatibility with The Legend of Zelda: A Link to the Past since Dolphin's 2.0 release, listing revisions only where a compatibility change occurred. This page was last edited on 31 December 2017, at 04:27.